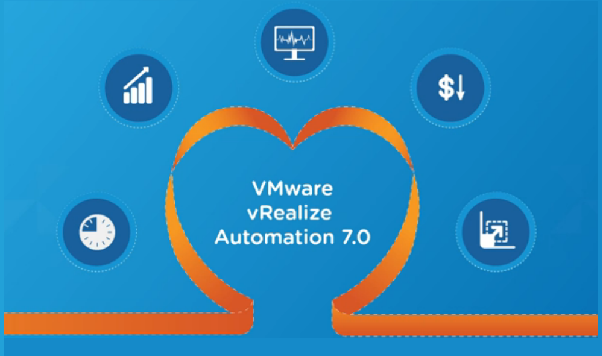 This guide we will walk you through the steps to install vRealize Automation 7 enterprise. I have split up every single role and made sure it is highly available. This might not necessarily be best practice as it highly depends on your environment. Make sure you read the vRealize Automation 7 – Reference Architecture to ensure you design the environment correctly. Depending on the size and requirements of your environment, you may also need to split out the vRealize Orchestrator from vRA and deploy / load balance two appliances instead. I have not done this here – I might cover it in future articles, but here I simply want to show how to install the vRA / IaaS part. You can also see an Edge device – This environment has vCNS installed so I will use a vShield Edge as Load Balancer. The Agents and DEMs don’t require a Load Balancer – vRA will handle the failover automatically. Browse to your first (primary) vRA appliance and login as root – the installation wizard should start automatically. Download and install the Automation Agent on every windows server. The Windows servers should now pop into the installation wizard. The Hosts aren’t necessarily in the correct order so make sure you look twice ! Tea-Time .. Click ‘Run’ to check the servers for prerequisites. Bear in mind, this will take .. a while. Click ‘Fix’. This can take a long time. Depending on your environment etc. Here add the vRA Appliance LB address – remember my vShield Edge Virtual Servers ? Enter your SQL details. Now previously I mentioned that I used the domain admin for the Automation Agent installed. As a result that user will also have full access on my SQL server and I therefore ok to use Windows Authentication. If you used a service account, make sure it has the appropriate permissions on the sql server. See notes in the screenshot below. Make sure you remember the Endpoint name. The Endpoint name (cAsE SenSItivE) will be used when configuring vRA Endpoints and it needs to match 100%. The next steps are to configure the certificates. For ‘production’ servers I have my own Windows CA. Subject names include each appliance name, FQD, IP and also the Load Balancer Host Names, FQDNs and IPs. If you intend to use SRM with re-IPing ensure your DR IPs are in the certificate as well. Here now import the certificate. This will restart the wizard once you login to your vRA Appliance again. The wizard will start at the same point, so don’t worry. Now it is time to re-add your hosts into the Load Balancer pools. Note about the Manager Service : It really depends how your LB works. Now you should be able to browse to your vRA environment using the VIP / FQDN. Once logged in, you can for example check the DEMs, ensuring they are all online etc. That is it for the installation.